Dr. Sameer Kad is a popular Orthopedist in Rohini, Delhi. He has had many happy patients in his 15 years of journey as a Orthopedist. He is a qualified MBBS, Diploma in Orthopaedics . You can visit him at Vardman Jain Hospital in Rohini, Delhi. Save your time and book an appointment online with Dr. Sameer Kad on Lybrate.com. My mom has severe knee pain. Orthopaedic doctor suggested for knee replacement surgery. But she can not be bold enough for surgery. She used many pain killers but no use. So pls prescribe any of the best pain killer to tolerate knee pain. It would be a great help if you prescribe pain killer to tolerate my mother's knee pain. I have pain in my knees and facing very much trouble in waking climbing stairs can you help me. My back bone is coming out. What I should do. I used to practice standing straight but I got pained. What should I do. Hello Lybrate user specific exercises of back, correct posture and healthy high fiber diet will helpful to cope with this. Take Vitamin d3 tab. Or sachet weekly for two months. Hot formentation daily. My friend is suffering from lumbar spondylosis for the last 3 months. She consulted a doctor, but no positive response from the medications he referred. Now she is relying on exercises, massages and yoga. But still no recovery so far. I wish to ask whether she should go for medication or exercises or both. And also, is this disorder curable? If yes, then how? Hello, for this prob you should go with medication and physiotherapy both in initial stage if you are feeling too much pain than pain relief medication will help you while the exercises will make your muscle strong so that there will not be any pain and problem. The time of recovery depends how much is the problem showing in MRI and patient is avoiding the things what he should in this condition but max range goes for 20-25 day but again it doesn't goes with every patient. I have pain in body joint and weakness and tiredness in the whole body and some time numbness occur in hand and foot. Please suggest me what is the problem and which time body test I need to do. I have lower back pain for last two years. Xray n MRI done. Had medicines n physiotherapy n exercises. But still not relieved. I am Female 23 years old intense pain and heaviness in lumbosacral area Pain does not improve with electrotherapy or massage. No pain pills Neck stiffness for 1 minth. Avoid long sitting. X-ray of spine. Meet gud physiotherapists. Stretching exercise of spine Avoid heavy weight and towards bending posture corrections must. I am 63 years male. 2 years back I had tingling and slight pain in left hand 3 fingers (thumb, index and middle. My efforts to investigated from general physician to specialist to neurologist were in vain. As suggested doctors it gradually cured. In two years it is limited to tip of the middle finger. However, still I feel that left hand has lost (very little) strength. Often feel tingling in chest and back side. I am type2 diabetic (border) taking glycometsr 500 in the morning and gp1 in the night. Other wise my health is perfect. I do pranayama, meditation. Will you please suggest me to get the above disorder addressed? Hi thanks for your query and welcome to lybrate. 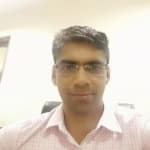 I am Dr. Akshay from fortis hospital, new delhi. All these symptoms of pain, numbness, parestheisas are due to involvement of nerve. It will be wise for you to get nerve conduction studies to understand exactly the region where your nerves are getting affected, and if it is due to compression somewhere, it can be addressed accordingly. But make sure that your sugar levels are under control always. Do not hesitate to contact me if you need any further assistance. I have frequently pain my left leg and muscle and it is continuously specially morning , few time I take pain killer but I want permanent solution please help me. Hi sir do the streching execise for 10 to 15 min daily. It will get relief from pain. If you have any doubts revert me back.